It’s a ritual that marks the beginning of summer. The weather warms up and you finally get to fire up the old grill and make some burgers. The thing is, it’s never really that simple. Everyone has what they think is the perfect combination of seasonings and technique to make the absolutely most wonderful, amazing, tasty, delicious food that anyone has ever tasted in the history of the world. Admit it. You went to your friend’s house and you looked at how he grilled and just knew you could do it better. 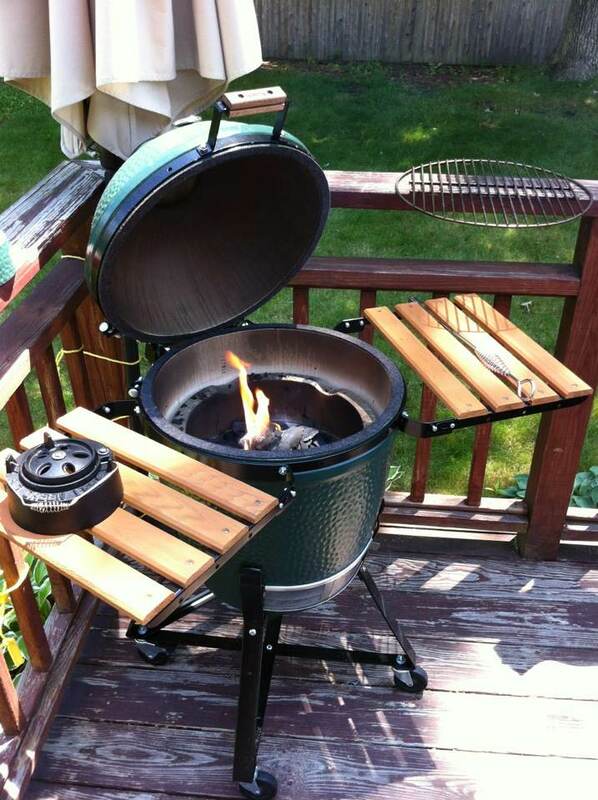 Well, the Big Green Egg looks at all of you using traditional gas grills and thinks the very same thing. It knows how to do it better. The Big Green Egg (BGE) is a ceramic kamado-style charcoal grill which provides superior insulation that makes very high and very low temperatures easy to maintain. It doesn’t matter it you’re looking for seared steakhouse style meats, oven-baked pizzas and bread, or slow-smoked brisket, this grill can do it all. The temperature is controlled by a simple sliding metal door that regulates how much air goes in and a daisy wheel vent on the top that regulates how much air goes out. In addition to the standard wire rack that you expect to see inside any grill, there are stoneware components for the Big Green Egg that add to your cooking control. If you use the Plate Setter you turn the grill into a brick oven for turning out things like pizza or cinnamon buns. Flip it so the legs are facing up and add the wire rack and you’ve created a convection oven that cooks food fast and keeps it unbelievably moist. My grilling experience has been almost exclusively with gas grills or traditional charcoal grills with those little square briquettes, so this was a completely new and different way to cook. The thing that appealed to me most was the idea of using this as a smoker. This is something you just cannot do with a gas grill. 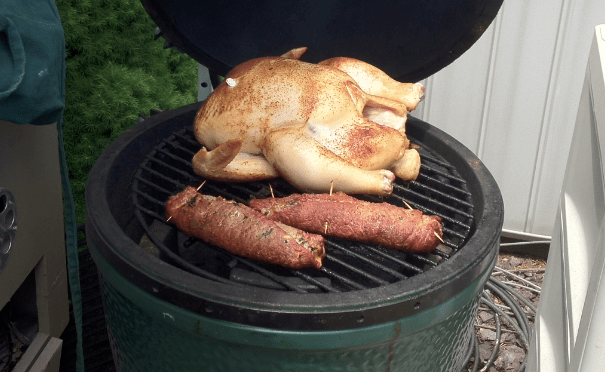 I was fortunate to be given a Big Green Egg in order to write this review. They’re sold through authorized dealers and my local dealer, Oasis Pool and Spa, was kind enough to set it up and deliver it right to my backyard. The first thing I noticed was that this thing was heavy. Not because I carried it, but because the delivery guy clearly had his work cut out for him carrying it himself. He told me the large requires two guys and the extra-large requires a forklift! These are not easy to move around, but you can mount them in an Egg Nest which has little wheels and will let you pull it from one spot to another if you feel the need. Mine also came with Egg Mates which are little flip up side tables and are definitely nice to have for your grilling tools and supplies. The charcoal the egg uses isn’t what I was expecting. Gone are the briquettes in favor of natural lump charcoal which looks just like the bits of unburned wood you find after a campfire has burned out. It burns hotter and cleaner as well as omitting chemical additives and leaves very little ash. I was skeptical that this would burn differently, but with the first use I was amazed that a big pile of charcoal left just a tiny amount of ash that wasn’t even enough to bother cleaning from the bottom before the next use. We started off trying to cook pizza because I had to know if it could actually pull off being a brick-oven. Turns out, it absolutely can. We cooked one in the BGE and one in our oven and the difference was noticeable. The crust tasted much better with a crisp outside and a soft inside and was perfectly cooked all the way to the middle of the pie. We tried it on both my usual stoneware and the thicker heavier BGE version and both gave delicious results. It took a little getting used to, but you really can manage the temperature with just those two little vents. Once you light the charcoal and let it get going, you can close the lid and open the vents wide and the temperature soars. Close them down and you can bring the temperature back down, but it’s definitely easier to warm a cool egg than to try to get a roaring hot one down to smoking temperatures. Within a week, we pretty much had it down to a science, and once you get the temperature where you want it then it stays put without constant fiddling. We went a little further with the baking over the weekend, cooking up some cinnamon buns and a bacon and egg casserole. Again, I was amazed that it cooked quickly without getting dried out. I really never thought I’d be cooking breads on a grill, but I’ve found they come out so well I’m going to try it out next time I make a homemade loaf, instead of putting it in my oven. Our next bit of cooking was what you’d more traditionally associate with a grill. We tried steak tips, kabobs, ribs, and chicken wings and found they cooked up much more quickly and evenly than with our gas grill. What was most surprising was how moist all the meats stayed. The chicken wings had a perfect crispy skin, but were dripping with juice. This was true of all the meats. You can get a nice sear on the outside without drying out your food so it tastes consistently delicious. The last thing we tried was smoking. I have never smoked anything in my life, and this was the part of the grill that I was hoping would work more than any other. We put a 5lb brisket on the BGE, added a handful of wood chips to the charcoal, and let it smoke for about 10 hours. The only difficult part of the process was smelling it cooking and having to wait for it to be done. It was absolutely delicious and we even managed to get a little smoke ring on the meat. The Big Green Egg is not an inexpensive grill with the medium coming in at $600 before accessories, but it’s not just a grill either. You’re really getting a grill, a smoker, a brick-oven, and a convection oven all in one little device. It’s built to exacting standards and you can expect this to last far longer than that rusty grill sitting on your deck right now. 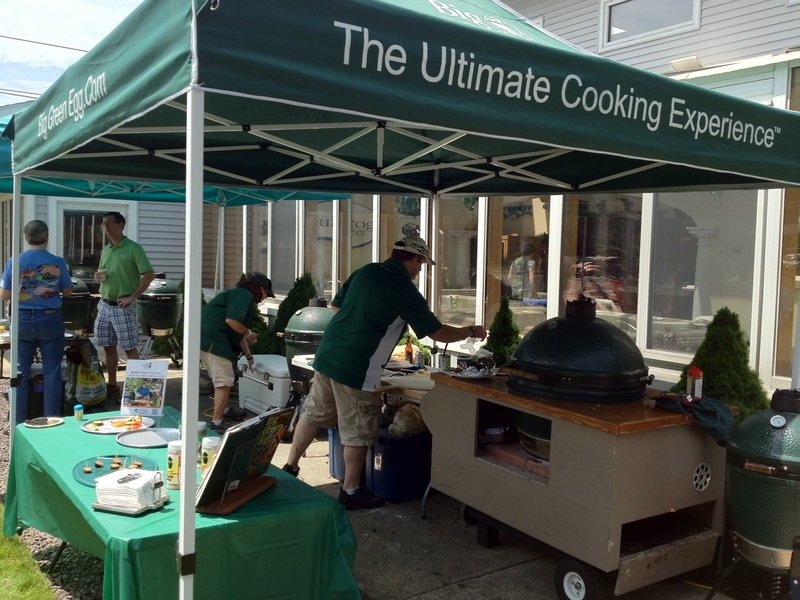 If you enjoy not just grilling, but cooking outside as much as possible, then you should consider a Big Green Egg. In fact, there are probably a few fathers out there who’d love one of these for Father’s Day.